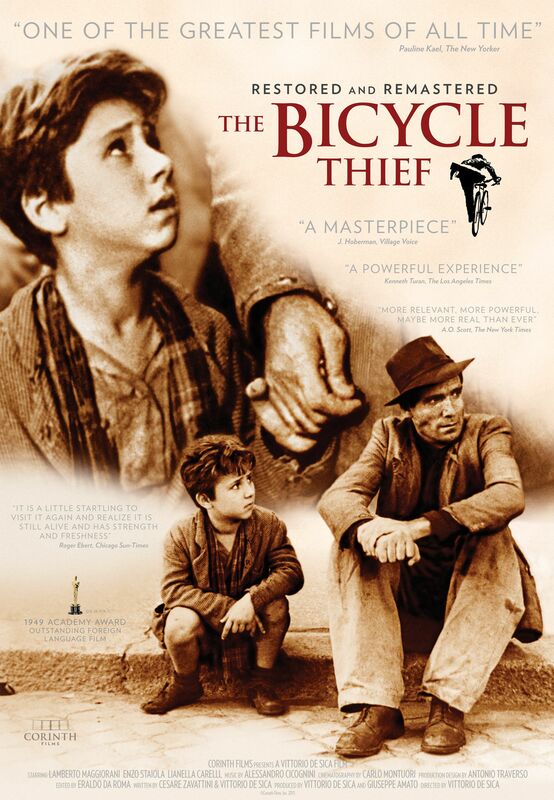 Brief Synopsis – In post war Italy, a poor man has his bicycle stolen while working at a new job so he and his son go looking for the thief. My Take on it – For years I have been avoiding this film since I’m not a fan of foreign language films. The fact tho that this film is so high on the IMD top 250 (currently it’s at 97, but it was 91 a few years back) demanded that I eventually see it. Since I’ve recently tried to expand my film knowledge by taking the plunge into the world of foreign language films, I decided to give this one a try. This film manages to be extremely simple yet also very emotional because of the way the story follows a father and son while always taking care to have the father be an example for his son the whole time, teaching him about the ways of life and of the world. The characters are developed just barely, but we easily can care about what happens to them as the story moves along. Loved the way that the film teases us in the first few scenes since we already know the title of the film. The way that this film depicts post war Rome is amazing and we get to see how it affected so many lives. Visually, we see how many items people have to “pawn” in order to get by day to day and some of those scenes hit really hard because of it. They do a great job of showing how strong the relationship is between the father and the son and we constantly get to see how he wants his son to learn about the world even if sometimes things must be done that are not necessarily just or even ethical. This is a film that I hope to see again because it is so enjoyable an experience to watch it all unfold. Bottom Line – Amazing film that is both simple yet very emotional. They are able to get the characters just right in order for us to care about what happens to them. The way that the streets of Rome are filled with poor people and how they must pawn their possessions in order to survive is shown exceptionally well. The relationship between the father and son feels quite genuine and it’s easy to see how the father wants to show his son the right way to live despite the fact that they are nearly destitute. Highly Recommended! Wow, very different from my reaction. I really appreciated the social message, but this film was just depressing from start to finish, meandering around to a potent but unsatisfying end. I don’t think Italian neo-realism is for me, but glad you liked it.